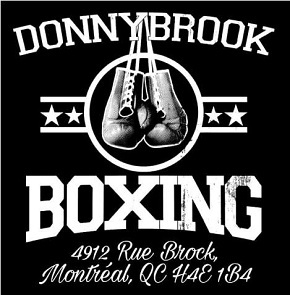 It’s 1996 and HBO has decided to start a new series of live boxing, providing fight fans with more excitement and their prizefighters with more exposure. 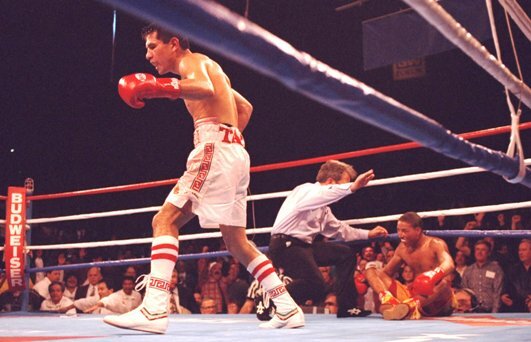 At that time, Mexico’s Marco Antonio Barrera was a young boxer with tremendous buzz but little exposure north of the border. But the word was he would soon prove himself the next great champion in Mexican boxing and take his place alongside such legends as Julio Cesar Chavez and Ruben Olivares. So what better time to find out if there was any substance to all the hype then the inaugural episode of “Boxing After Dark”? To give Barrera a test they matched the young man they called “The Baby Faced Assassin” with former gold medalist and world champion Kennedy “King” McKinney. 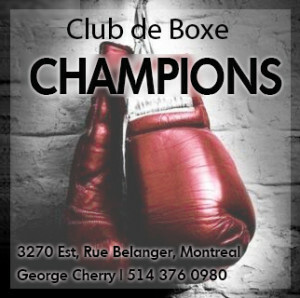 It was a classic “crossroads” fight and fans were treated to a scintillating battle that saw both warriors give their all, with loads of furious exchanges and several knockdowns to boot. The fury in the ring was, at least in part, a consequence of the bad blood that surfaced in the days leading up to the match as it became evident that there was no love lost between McKinney and Barrera. 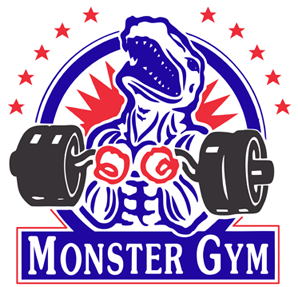 At one of the pre-fight press conferences the two fighters exchanged both angry words and punches with the boxers’ camps struggling to keep them apart. The resulting tension exploded in the ring right from the opening round with the Mexican starting fast, pressuring McKinney and throwing heavy shots. Kennedy replied with quick jabs and straight right hands and the battle was on. When the first round ended the crowd rose to its feet and applauded the fast-paced action, but Barrera vs McKinney was just getting started. In round two Marco Antonio again brought the fight to McKinney but the former champ forced him to back off with a hard right hand to the jaw. The younger man kept targeting Kennedy’s body with vicious hooks and crosses but he was paying a price as Kennedy aimed his right hands and one-two’s to the head. Both men were giving and taking and both showed no signs of ever backing down. If Barrera had a slight edge in the first two rounds thanks to his aggression and body punches, McKinney took the third as he kept his man on the outside with intelligent movement, sharp jabs and good counter rights. 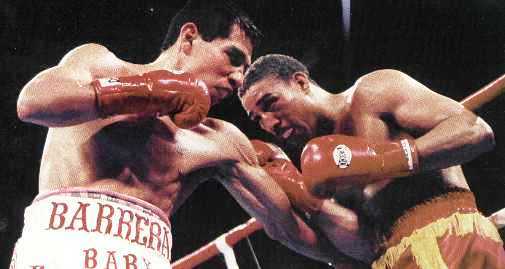 But in the fourth a hard uppercut stunned the American and Barrera rallied. 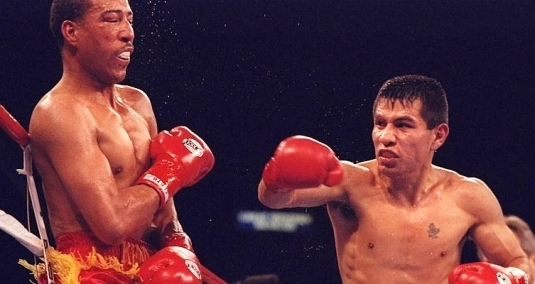 In round five it became the kind of fight Barrera wanted: toe-to-toe, nothing but heavy shots. The pace and the punishment were forcing McKinney to go in the trenches with the younger man and battle at close quarters. It may not have been his preferred mode of combat, but the result was serious excitement for both the crowd at the Great Western Forum in Inglewood, and the live television audience. And another result was one of the best action rounds of the whole year as the sixth stanza was non-stop combat, both men trading heavy artillery for the entire three minutes. Barrera appeared to have a slight edge, but McKinney was more than holding his own. And in the seventh he nailed his tireless adversary with a terrific right hand and out-worked Barrera for the rest of the round. But in the eighth a vicious exchange resulted in the first knockdown of the bout as an overhand right from the Mexican put McKinney on the canvas. Moments later a second right hand scored a second knockdown; showing tremendous courage, the American beat the count again and somehow survived. Round nine wasn’t much better for McKinney. He took more punishment and suffered a third knockdown, but if Barrera appeared on the cusp of a stoppage win, it was Kennedy’s extraordinary grit and will to survive which now inspired the crowd. The referee ordered the doctor to check on Kennedy after round nine, but the match was allowed to continue. And then, amazingly, it was the former champion who came roaring back in round ten, stunning Barrera with a right hand and battering him with a two-fisted assault. His resurgence continued in round eleven when he caught the Mexican with a powerful right and scored his own knockdown, the first of Barrera’s career. Despite this, it was clear to all that “The Baby Faced Assassin” had a definite lead going into the final round. McKinney needed a stoppage to prevail; Barrera just needed to hear the final bell. But this future Hall of Famer and triple-crown king was not content with coasting to a win. 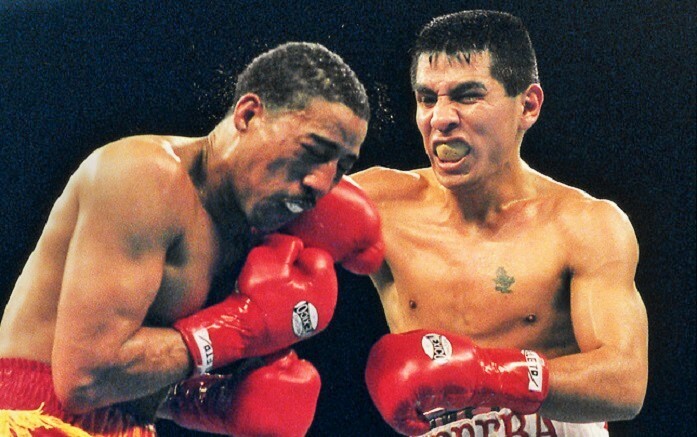 Showing the first signs of true greatness in his career, Marco Antonio Barrera went after his man, determined to close the show, while McKinney also attacked as he knew he needed a knockout. The result was a chaotic final round which saw Kennedy on the canvas four times, with referee Pat Russell calling an obvious slip a knockdown, and an obvious knockdown a slip. No matter; it was clear McKinney was overwhelmed as a series of power punches put him on the canvas for the final time and Russell halted the bout. Russell waves off the fight in the final round. 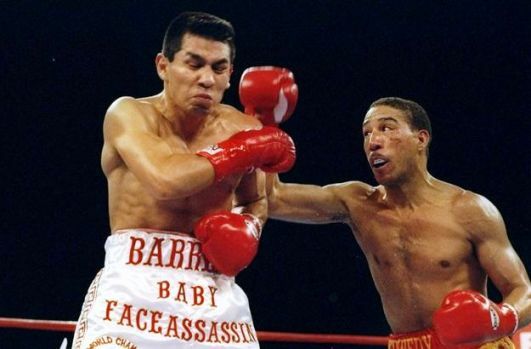 HBO’s Boxing After Dark series has showcased some unforgettable contests over the years, but their very first main event, Barrera vs McKinney, ranks among the all-time best. In fact, it deserved to be the Fight of the Year for 1996 and deserves now to always be remembered as one of the most fiercely contested and thrilling battles of the 1990s.